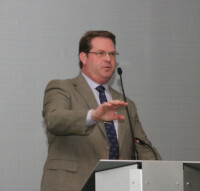 Elliott Walden (President)- President &amp; CEO, WinStar Farm. 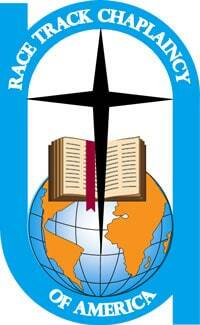 Has served RTCA on many levels, working closely with both the KY. and NY. Chaplaincies. Rich Gimmel (Vice President)- Owner and chairman of Atlas Machine and Supply, Inc., currently Executive Director of the Kentucky Race Track Chaplaincy Council. Chaplain Humberto Chavez (Secretary)- Senior Chaplain for the New York Race Track Chaplaincy since 2003, serving Saratoga, Aqueduct, and Belmont Park. Chaplain Darrell Winter (Treasurer)- Chaplain at Ruidoso Downs for 17 years and the RTCA National Treasurer for the past 2 years. Arnie Frazee (Region Director’s Representative)- Has served on various committees and Board positions within RTCA, based out of the Remington Park Race Track Chaplaincy. Karen Chavez (Women’s Ministry Representative)- Leads women’s ministry for the New York Race Track Chaplaincy and has previously held the position on the RTCA National level. Jody Parmenter (Council President’s Representative)- Serving as the Council President for the Emerald Downs Chaplaincy in Washington state. Chaplain Dwight Brown (Chaplain’s Representative)- Chaplain at Evangeline Downs for the last six years. Also serves as a Pastor of a church in Louisiana and Police Officer with the Opelousas Police Department. Allyn Mann (Industry Representative)- Director of the Animal Health Division of Luitpold Animal Health. Has committed the past 29 years to working in the animal health industry. Dan Waits (Executive Director)- Began role of RTCA Executive Director in 2016. Previously served as Executive Pastor in two Kentucky churches. Prior to ordination, served in the KY. Governor’s Office and as a Program/Account Manager in the automotive industry. Since 1972, the Race Track Chaplaincy of America has served the horse racing industry through the work of Chaplains, Councils, and volunteers at horse tracks and training facilities across the United States and beyond. 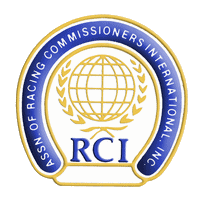 The mission of RTCA is to minister to the spiritual, emotional, physical, social, and educational needs of those persons involved in all aspects of the horse racing industry.